I recently had lunch with a colleague in Dallas. I live in the area but I don't get there much because I am always on the road. So when the chance to have lunch came up I made a reservation at a favorite: R+D Kitchen in University Park at Preston Center. Part of the Hillstone Restaurant Group with siblings in Newport Beach and Santa Monica, this local hot spot is really great for watching the "ladies who lunch". 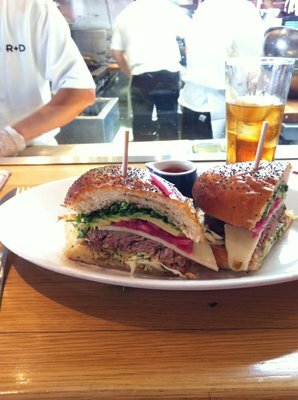 Reservations are a must, even at lunch unless you want to sit at the bar. The food is great. Reasonably priced and served by a staff that constantly uses your name; but it's not in a weird or cloying way. You feel like they really want you to have a good meal and a good time. They make you feel like is is not all about "turning" your table so they can get someone else in it. I had the Newporter Salad. Delicious. Fresh spinach with melt-in-your-mouth grilled chicken (still slightly warm), with shaved parmigiano reggiano, cashews and sweet red pepper julienne. 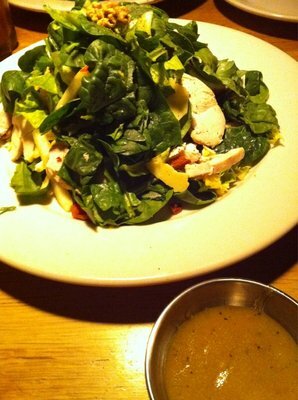 All served in a champagne vinaigrette - really nice. My compadre had the Carnitas Sandwich which looked REALLY good too. 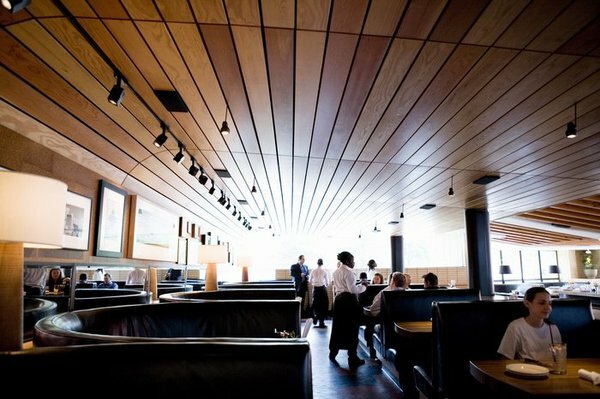 So if you are visiting Dallas, or are a resident, make a reservation. Ask for a booth on the top tier. Its awesome. Really!